This policy manual is being implemented within Clan MacTavish in compliance with The Public Company Accounting Reform and Investor Protection Act of 2002 (Sarbanes-Oxley (SOX)). As this and any other statutory regulations for Not For Profit Organizations evolve, the fiscal policy shall be similarly and promptly amended to ensure legal compliance. Notations with an asterisk and italics mean that the word or phrase appears in the definition section at the end of the fiscal policy. 1.0 Clan MacTavish’s Treasurer shall maintain a Double Entry General Ledger to record every fiscal organizational transaction. Specific account records, providing a sufficient audit trail* shall be maintained for all transactions. The Treasurer shall oversee all fiscal transactions*, and shall present a Balance Sheet* to the Board of Directors (Board) at each year’s Annual General Meeting (AGM). The Board will establish an accounting method, to be consistently applied, to maintain required records. 2.0 Budgets shall be prepared by various Officers for their various annual functions. All Budgets will require Board approval before their annual funding. All Budgets will have sufficient detail to adequately disclose income and expenditures. For example, all Budgets will itemize both ongoing and non-recurring activities. Any Budgeted funds not spent in a given year will be available for the subsequent year’s Budget in addition to normal Board annually authorized funding. All Officers will provide an annual income and expense report for Board inspection at the AGM. The Board will create an Unforseen Contingency Account (UCA) for unanticipated/non-budgeted expenditures. The Treasurer shall approve and fund all UCA expenditures. Thus, any Officer needing UCA funding shall submit a written request for the Treasurer’s approval, after which the Treasurer shall disburse the requested UCA funds to the appropriate Officer. Simultaneously, the Treasurer shall record the outlay for annual Board scrutiny. 3.0 All Clan MacTavish account checks will require one signature, with the exception that expenditures exceeding USD 1,000.00 shall require approval by a majority of the Board of Directors, one of whom must be a Chief’s Representative, and must be signed by two (2) elected Officers of CMU, neither of which may come from related parties*. In addition, to avoid the appearance of a conflict of interest*, any persons residing within the same domicile at any time during their office’s term may not sign checks. v Maintain more than one office but yield all fiscal oversight responsibilities. v Relinquish all but one office, at which point the office holder will limit his/her fiscal management responsibilities to those of his/her chosen office. Should the office holder vacate one or more offices, the vacated office(s) will be filled by usual methods within 30 days of vacancy. This policy does NOT prohibit Commissioners/Conveners from receiving or sending monies for either membership or retail sales. 5.0 The Board shall create an Audit Committee*. This Committee shall contain FIVE members, three of which shall be from the General Membership*, and two of which shall be Board members. One Board member shall serve a one year term, and the other a two year term. General Membership committee members shall be nominated by the General Membership to the Board and elected by 2/3 vote of the Board for a term of two years. All candidates must be members in good standing. The methods of nomination and election to be determined by the Board. 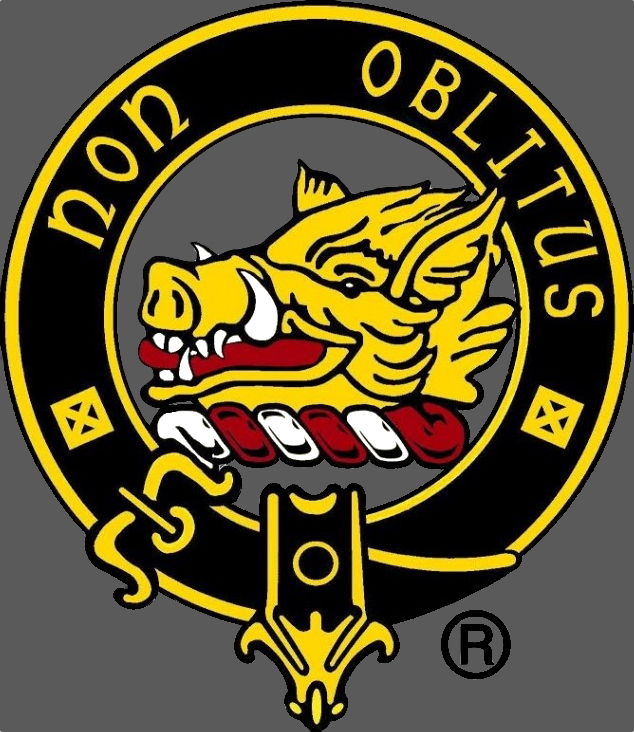 The Audit Committee’s Chairperson shall be a General Member chosen by the Audit Committee in accordance to the Bylaws of Clan MacTavish USA, Inc. The Chairperson shall be an audit financial expert*. 6.0 All materials owned by CMU will be immediately surrendered upon Board demand. Failure to do so may result in legal action. 7.0 Funds used to operate CMU may not be commingled* with funds used to operate or purchase any internet website or retail store inventory. This policy shall apply to any sales method owned or operated by CMU for any Material’s sales. The Treasurer shall maintain an account entitled Net Sales. This account shall fully disclose all Gross Sales, and Sales Returns and Allowances, and any other sales-related activity. The Treasure, within the Net Sales account, shall record all activities in compliance with CMU’s owned or operated sales methodology. 7.1 The Store Manager, appointed by the Board, shall have the necessary skills and training to operate Inventory accounts within a retail establishment. Inventory accounting shall include, but not be limited to, conducting annual physical inventory counts to determine Beginning and Ending Inventory. Additionally, the Store Manager shall record Inventory Purchases and Sales, and maintain “Cost of Sales” required accounts. The Store Manager shall maintain separate accounts for separate customers, and shall administer an Inventory accounting for the store and any sales method owned or operated by CMU. 7.2 The Store Manager shall create and implement a Merchandise Return Policy. 7.3 The Store Manager shall maintain Inventory Management* Accounts, as established by the Board. The Store Manager will prepare all Financial Statements required by the Board. These statements shall include, at a minimum, a Balance Sheet* and Income Statement. 8.0 Triplicate deposit copies will be made by anyone other than the Treasurer. Copy 1 will go to the bank. Copy 2 will go to the Depositor. Copy 3 will go to the Treasurer. Treasurer deposits will only require duplicate copies. Anyone making regular deposits, such as the Membership Secretary or Store Manager, may forward the Treasurer’s copy no less than once per month. All others shall forward the Treasurer’s copy upon making the deposit. 9.0 All reimbursed expenses shall be made in written form via a standardized expense sheet. To receive reimbursement, the requesting party must provide sufficient detail to support the reimbursement including, but not limited to the following; proof of payment, the name(s) of person(s) or organization(s) paid by the requestor, the payment date, the payee’s contact information, the purchase’s purpose, and the payment’s amount and method. Reimbursement requests shall be submitted for approval and payment to the Treasurer, except for Commissioner’s reimbursements. Commissioner’s reimbursements (for Games Fees) shall be submitted for approval to the North American Commissioner. Upon granting approval, the North American Commissioner shall forward the request to the Treasurer for payment. 10.0 No internet websites receiving General Membership funding*, will be listed in a person’s name unless that person signs an Ownership Agreement Statement, which assigns official ownership to CMU. 11.0 All loans made to CMU must be interest bearing, and must contain a structured repayment schedule that is unanimously approved by the voting members of the Board. The Treasurer shall honor the loan agreement’s repayment stipulations. 11.1 All loans approved by the Board shall remain the sole responsibility of CMU to be discharged in the manner prescribed by the Bylaws of CMU and this policy. 12.0 All loans made by CMU members will follow the same criteria as stated in 11.0. Loan principle will become property of CMU. The Lending member shall relinquish all rights to loan principle except agreed to repayment thereof, including the direction of fund usage. The funds will become the property of the CMU General Membership, who will duly elect officials empowered with the discretion to direct fund usage. 13.0 Each year, at a time determined by then Board, persons with overall responsibility for fundraising, such as, but not limited to, the National Commissioner and Committee Chairpersons, shall provide the Board with detailed reports of program and fundraising evaluations, including a complete description of the metrics used to evaluate such programs. They shall also make recommendations to the Board. 14.0 Each year, the board and Audit Committee shall meet with the nonprofit’s auditor. The auditor should be prepared to identify areas that he or she sees as potential problems or opportunities for fraud, or where real fraud is taking place. If the organization is given a management letter by an accountant, the issues cited should be rectified immediately and the improvements documented. 15.0 Each year, the board shall evaluate the financial needs of members in other countries, with special attention given to recruitment of Supporting Members and representation at events in each country. The Board shall determine a percentage of the dues of members of represented countries for allocation to these countries. (d) Full review of all other documentation to identify trends, such as insurance claims, newspaper reports about organization, fundraising results, human resources complaints, and disciplinary action against individuals within the organization. 17.0 The board shall create and maintain an IRS Compliance Committee whose purpose is to insure the compliance of CMU to the laws established by the IRS for 501(c)3’s to remain non-profit. 17.1 The committee chairperson will be appointed by the President of the board and will consist of three members, one of whom will be the board Treasurer serving ex officio, the other will be a current CMU member chosen by the committee chairperson. 17.2 The committee will conduct checks with the IRS at reasonable intervals to determine if any changes were made to applicable laws affecting the 501(c)3 status of CMU. 17.3 The committee shall publish each year a calendar timeline of filing event dates to the Board to ensure compliance with the IRS 501(c)3 non profit status. 17.4 The committee shall be empowered to request and receive any and all information necessary for its function through the President of the board. 17.5 Recommendations of the committee shall be incorporated into the bylaws and policies of CMU in a timely fashion upon presentation to and approval of the Board. 17.6 The committee will present a report of CMU’s compliance each year during the CMU AGM. 17.7 The committee will report to the board at any time during the year when action is required by changes to IRS laws and policies. 18.0 Individuals 65 years of age or older may become a life member at a non-refundable contribution of US $200 to CMU upon proof of age. This membership is not transferable. This is reserved for Job Description definitions. None are listed. Audit Committee – A group of people appointed by the Board and nominated by the General Membership. This group will assist in supervising the organization’s internal operations, preparing financial reports, implementing an internal audit system, and disclosing information. The group’s function is to ensure transparency and accuracy, to enhance organizational efficiency, and to build confidence throughout the organization. When necessary, the Committee shall be empowered to authorize investigations pertaining to alleged misuse of funds or misappropriation of assets. Afterwards, the Committee shall recommend corrective action, if applicable, to the Board. Audit Financial Expert – Such an expert is to have: an understanding of GAAP and financial statements, experience in preparing, auditing, analyzing, or evaluating financial statements, experience in preparing, auditing, analyzing, or evaluating financial statements at or beyond the level of complexity of CMU’s financial statements, and an understanding of audit committee functions. Audit Trail – Written documentation of detailed transactions supporting summary ledger entries. Verifiable documentation should adequately support fiscal transactions. Such documentation may include, but not be limited to, office supply receipts, deposit records, cancelled checks, invoices, and specific details about transactions or sales. Commingled – Combining all monies into one account. For example, proceeds from a kilt’s sale are mixed with Membership dues. Separate accounts for each/all relevant transactions should be maintained for clarity and transparency. Conflict of Interest – A situation where someone in a trust position (e.g. An Officer or Board Director) has competing professional and/or personal interests. Such competing interests make it difficult to fairly discharge one’s duties. Even if no evidence of impropriety exists, an apparent conflict of interest can undermine public confidence in that person to act properly. Even the perception that one might exploit one’s professional opportunity for personal or organizational gain can adversely affect organization morale. Fiscal Transaction – Any exchange of money for value. This shall include, but not be limited to, annual membership dues, resale item’s payments, and insurance premium payments. General Membership – All members in good standing within CMU. General Membership funding – Funds originating from dues, donations or other methods that are held for the operation of CMU. General Membership Vote – The Membership Secretary shall mail the ballot to the General Membership. The Secretary shall receive the ballot from the General Membership, record the votes and declare the elected individuals. Inventory Management – A system necessary to manage the organization’s goods and materials held for future sale or use. Similar terms might include, but not be limited to, Inventory Control Management, Vendor Managed Inventory, Vendor Management Inventory, and Inventory Control. The system should include, among other things, a physical description of the inventory bought, including purchase, vendor, cost, and date. Inventory purchase interval frequency should be addressed (e.g. monthly, bi-monthly, etc.). Any additional relevant expenses (e.g. freight charges, storage costs, etc.) should be logged. The check # or cash receipt # should be logged for cross-referencing. The Inventory’s valuation method should be chosen by the Board (e.g. FIFO, LIFO, etc.). Once chosen, that method MUST be followed consistently. Inventory is an important asset, whose valuation affects various financial statements. Oversight – A role that ensures compliance with stated policy. For example, creating a good system is a good start, but ultimately has little value if it is not properly implemented. Therefore, any system requires periodic scrutiny to verify compliance and ensures adherence to stated policy. Related parties – One or more persons who are related by marriage or blood, or who have a relationship that may create a conflict of interest, real or apparent, in discharging their duties. Related parties, even if acting appropriately, may give the “appearance of impropriety” to others within the organization. Such an appearance may lessen the overall confidence that others would have, absent the apparent conflict, in the organization. There are two pages of graphic examples of LIFO and FIFO inventory methods not necessary to the understanding of the intent of this fiscal policy and are therefore omitted here. They are available for examination upon request. Send a self-addressed, stamped envelope to the Office of Record along with a two dollar handling fee. Do not send cash.